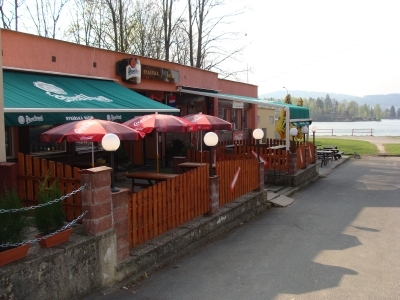 is situated in Jablonec nad Nisou right on the bank of the Jablonec nad Nisou dam at an elevation of 512 metres above sea level, in a quiet environment on the edge of the Mšeno residential area, just a few metres from the Jizerské hory (Mountains) protected landscape area. Jablonec nad Nisou is the gateway to the Jizerské Hory (Mountains) lying in the north of the Czech Republic. - it is possible to book the restaurant for company presentation, celebration, feasts, various training courses, family occasions, weddings and other events.